Symonds’ relationship with Clarke will never be the same. THEY once formed the ultimate odd couple of Australian cricket. 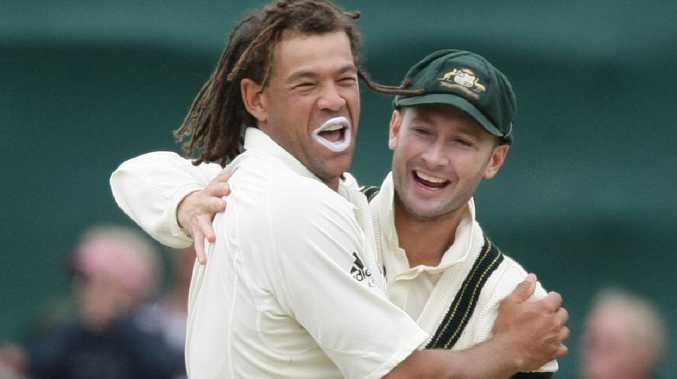 Andrew Symonds, the Queensland larrikin more at home in the outback and open ocean than in concrete jungles, and Michael Clarke, the city slicker who grew up in southwest Sydney but looked more suited to sitting with the latte-lovers at Bondi. Symonds loved hunting, fishing and a cold beer. Clarke preferred earrings, Ferraris and fine wine. "Roy", as he was known, sported dreadlocks. "Pup" ran with peroxide blond hair. But despite the superficial differences and the six-year age gap the pair were tight. Often patrolling cover and point, you'd see Symonds and Clarke laugh as they created their own competition in the field, keeping score about who had the most stops. Keen rugby league fans, the pair would at times be seen mimicking a referee and laughing as they blew a knock on if the other person fumbled a ball. But, if you believe it, all good things must come to an end - and the end to Symonds and Clarke's relationship came quicker and with more bitterness than anyone could have expected. It's no secret Symonds enjoyed a good time - sometimes too good a time - in the same period when Clarke was being groomed as a future Australian captain. They were on different paths and it ultimately cost them their friendship. Clarke tried to cover for Symonds when he turned up drunk to an ODI against Bangladesh in England in 2005, back when their bond was still strong. But in the years that followed, that goodwill ran out. 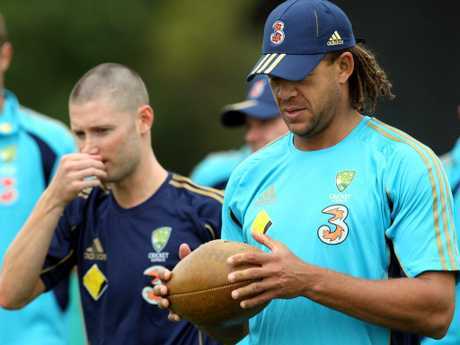 Symonds has admitted his career unravelled when he found himself in the middle of a racism storm against India at the start of 2008. Harbhajan Singh was accused of calling him a "monkey" at the Sydney Test and the fallout - which saw Cricket Australia criticised for failing to support Symonds and the all-rounder feel guilty for dragging his teammates into the controversy - was the beginning of the end for Symonds' international career. Midway through that year, he was dumped from Australia's World T20 squad for breaking a drinking ban and was later sent home from a one-day series for skipping a team meeting to go fishing when Clarke was filling in for Ricky Ponting as captain. He never played for Australia again. Clarke was in a difficult spot. His love for Symonds ran deep but he couldn't be seen to be compromising team standards. Addressing the breakdown of their relationship, Symonds accepted some of the responsibility for the two becoming distant, saying he was "out of line" at times. "When he (Clarke) first came into the side I took him up north and went fishing and chasing pigs and riding motorbikes and all these sorts of things to give him an experience which he'd never had and he really enjoyed it," Symonds said. "I enjoyed taking him and seeing him in that environment was at times very humorous. We had a lot of fun. "It's something that probably happened over time, we grew apart for a number of reasons. "We grew apart for the wrong reasons and I'll accept responsibility for the most part of that. Some of the things I did were probably out of line. "Then things broke down for whatever reason, it's just the way it ended up." The pair shared plenty of laughs before their split. Breaking point arrived in the West Indies a decade ago. In his autobiography My Story, Clarke referenced an incident where Symonds flew into a rage and threw a drink on him when talk turned to the big-hitter's leadership aspirations. Asked whether the row erupted after Clarke told him it was time to turn in for the night, Symonds said the real reason he became furious was because a character assessment from Clarke missed the mark. "I threw a drink on him. He didn't tell me to go to bed, he said something else but I threw a drink on him and what he said to me put me into a rage," Symonds said. "What he said to me was nowhere near accurate and that immediate point is where he lost me and I lost him. "Our friendship was destroyed in that moment. "He'd said to me, not in these words, but he'd suggested I was a selfish player and a selfish person. The one thing I don't consider myself to be is that and that really annoyed me." Their friendship may have come crashing down in that one moment, but the sour taste to their acrimonious split has lingered as the pair traded barbs in the years since. Clarke and Symonds drifted apart after an angry confrontation in the West Indies. Symonds criticised Clarke for not approaching former teammates before airing dirty laundry in his autobiography and after casting doubt on Clarke's leadership style in 2015, the former Aussie skipper hit back. "Andrew Symonds went on TV to criticise my leadership. I'm sorry, but he is not a person to judge anyone on leadership," Clarke wrote in his 2015 Ashes Diary. "This is a guy who turned up drunk to play for his country. 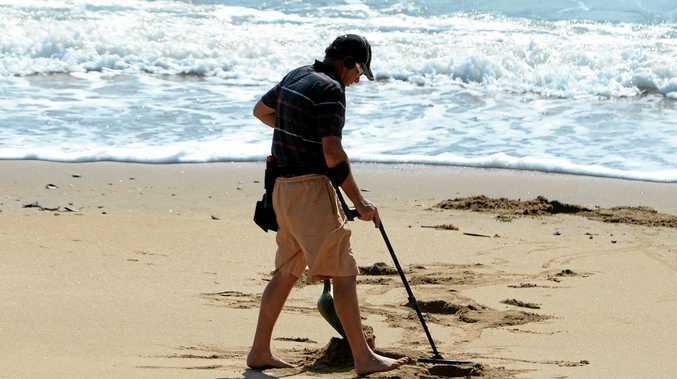 It's pretty rich for him to be throwing rocks." Despite the ill will, Clarke said losing Symonds as a mate "killed" him. However, he refused to apologise for putting the team ahead of personal loyalties. "Some former teammates will take his side, and feed his conviction that I let him down and put ambition ahead of mateship," Clarke wrote in My Story. "I would say that he let me down too - that if he had understood mateship as a two-way street, he would have seen that I had to do what was right for the whole team."